As a volunteer, you get exposure to different campaigns, trainings and activities that will empower you to contribute for a greener and a peaceful environment. Joining OSVSWA Work Camp on the Environment is a great way to give back to the community for a safe and better living environment. You can chose how to carry out your environment safety awareness campaign, you could use street drama or games, the more creative the better. You will also perform study and research in the community, mapping and studying the environment, issuing reports and recommendations on topics assigned by OSVSWA. 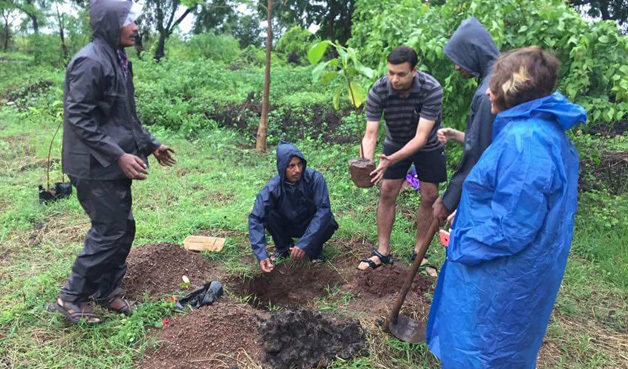 The volunteer will also be engaged in Cleaning village ponds / water bodies, community clean up – road, trees plantation, protecting animals, environment education to adults and children, and creating community garden and eco-village. Extra activities: For volunteers during free times, some extra activities will be organized; they are, day trips and excursions in the area / picnic for volunteers. English will be the language in the camp; basic conversational skills are needed. Surviving local language will be taught during the camp. Volunteers will be hosted in a local house / community house / volunteer house; sleeping on beds or mattresses in several rooms, shared by 2-4 volunteers each. Volunteers will share the duties of preparing food, cooking meals and cleaning. Please keep in mind that during this work camp, food will be provided by OSVSWA, which also means eating mainly local food, but will be taken care of less spicy. Free time activities will be organized for OSVSWA volunteers; as day trips and excursions in the area, picnic in forest / tourist places, meeting with government officials to share the experience. •	Funds sufficient to cover recreation, incidentals, souvenirs (a per requirement).